Dale and Christa are excited to proclaim Christ and make disciples globally with YouthHope. Dale and Christa have been serving and leading youth ministries for more than 20 years. In 2014, they were led by the Lord to join New International to serve full-time with YouthHOPE to pursue and invest in global youth ministry by using their gifts, talents, education and experience to empower, teach, and train and mobilize those passionate about transforming the lives of global youth. Dale and Christa connected to New International through their friends Justin and Karena Hanneken. It was during Ends Cycling's Midwest Bike Ride that both Christa and Dale felt the Lord leading them to serve in global youth ministry. They believe in the mission of proclaiming Christ and making disciples globally. Because of YouthHOPE and their desire to transform the lives of global youth, the Puckett's affiliated with New International in 2014. Dale is excited to serve with the YouthHOPE team, training and developing youth workers to pour into the lives of global youth! Christa has the privilege of volunteering with the mission and serving where the Lord leads. Dale and Christa have two children, Tyler (19) and Taylor (16). Pray as they continue partnership development, and raising support and prayer partners. Pray for Christa as she balances life in ministry, as well as, continuing to homeschool Taylor. Pray for Tyler and Taylor as they serve in various ministries in their local church. Pray for Tyler as he continues to seek the Lord for direction now that he has graduated. Pray for Taylor as she has begun dual enrollment classes at the local community college. 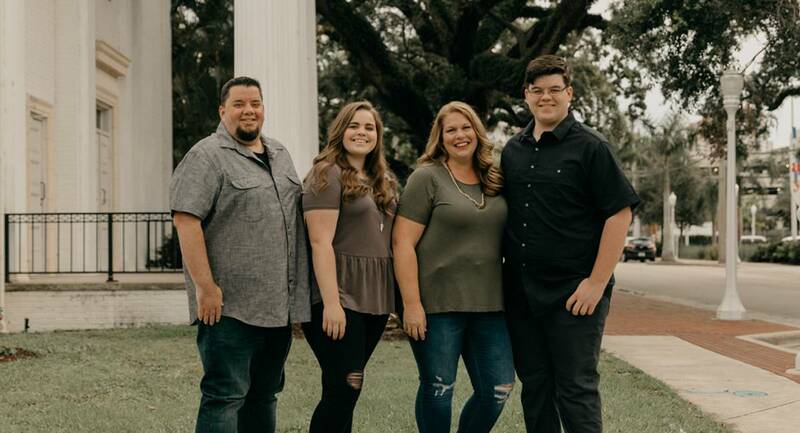 Pray for the Puckett's as they invest in youth workers at their church.